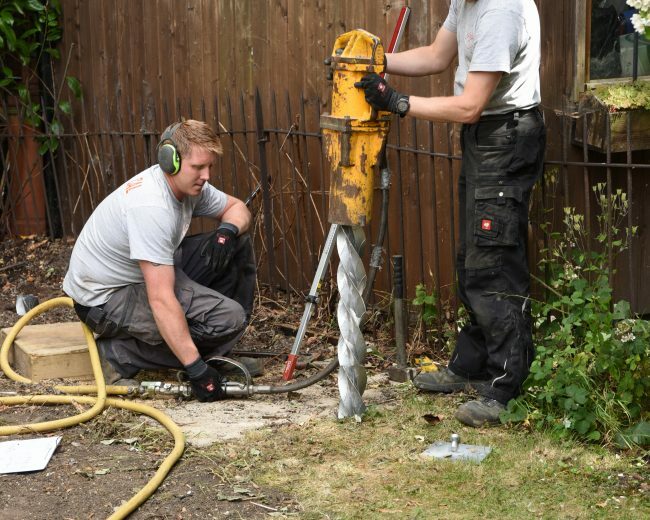 The QuadraPile helical piling system consists of lengths of helical aluminium pile which are driven into the ground and joined together to form a single pile to the depth required. The size chosen will depend on the required load capacity and purpose. Minimal or no use of concrete. Can be used near trees and in root protection zones of trees with Tree Preservation Orders (TPOs). Quick and clean to install. 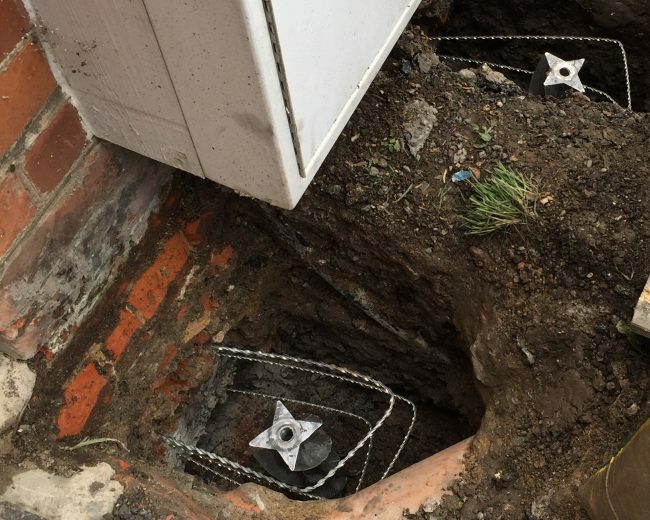 Reduced groundworks and spoil disposal. In-situ proof testing gives a true value for load capacity. 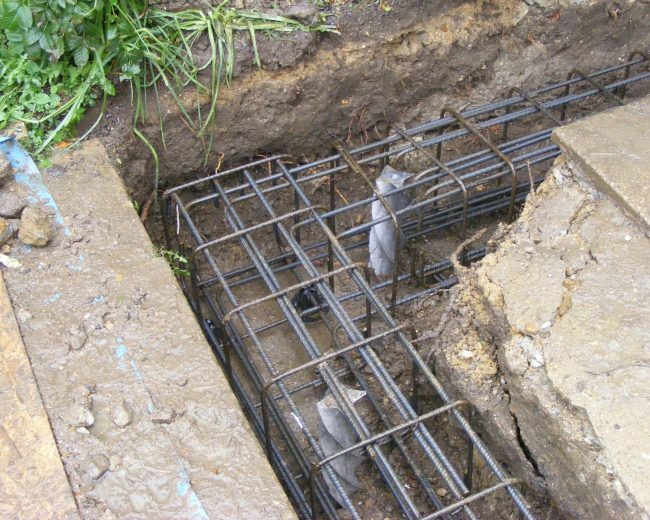 Our QuadraPile helical piles are manufactured from an aluminium alloy which has excellent corrosion resistance and structural properties. 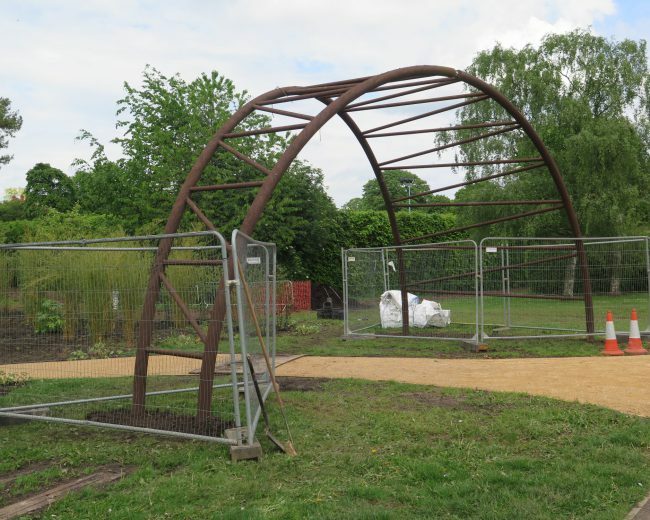 The piles are removable and recyclable when the building comes to the end of its useful life. 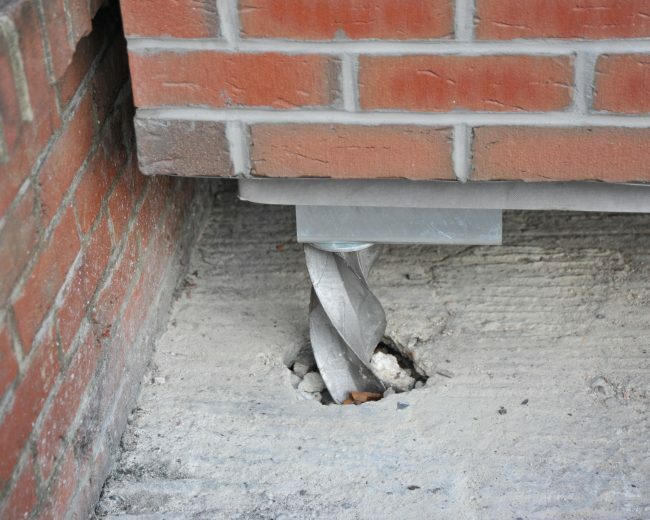 Underpinning – repair of buildings suffering from subsidence. 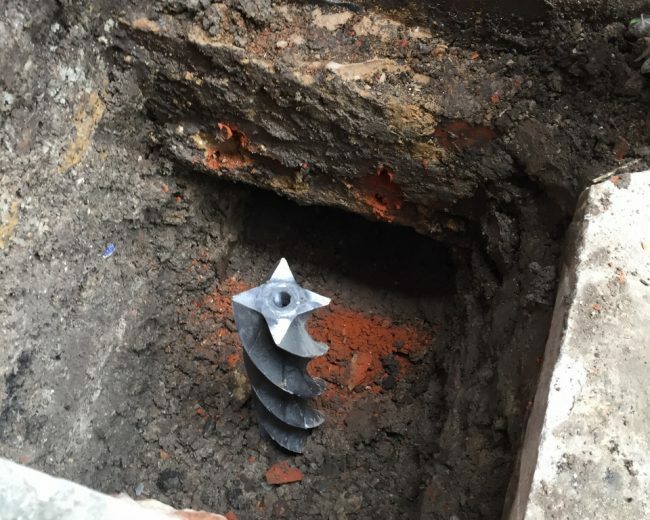 A less disruptive alternative to traditional underpinning. 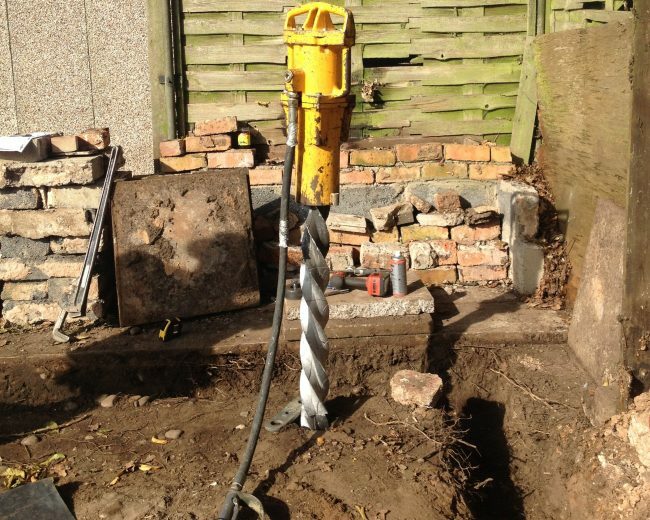 ‘Pile and beam’ foundations for traditional-build extensions. 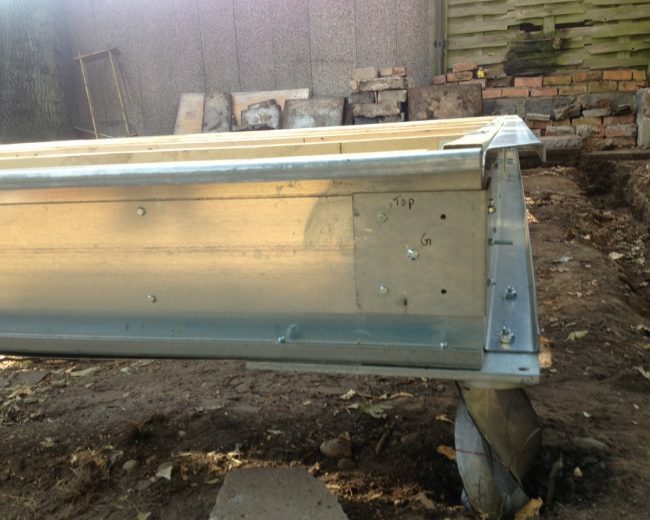 Foundations for timber frame or SIPs buildings. Foundations for modular residential extensions. 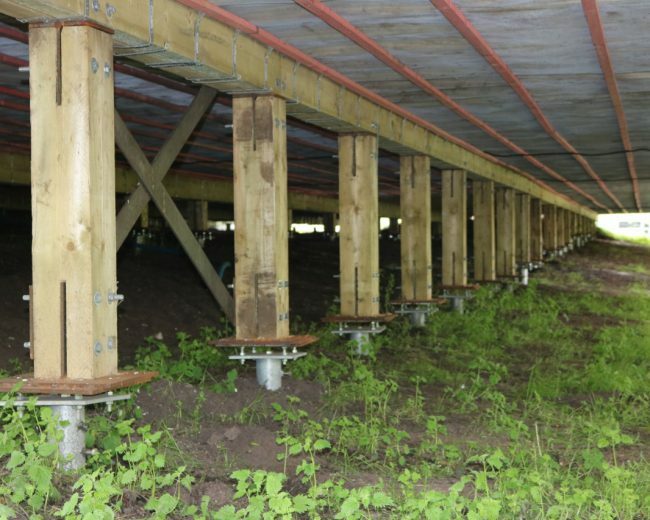 Foundations for modular or pre-fabricated school classrooms. 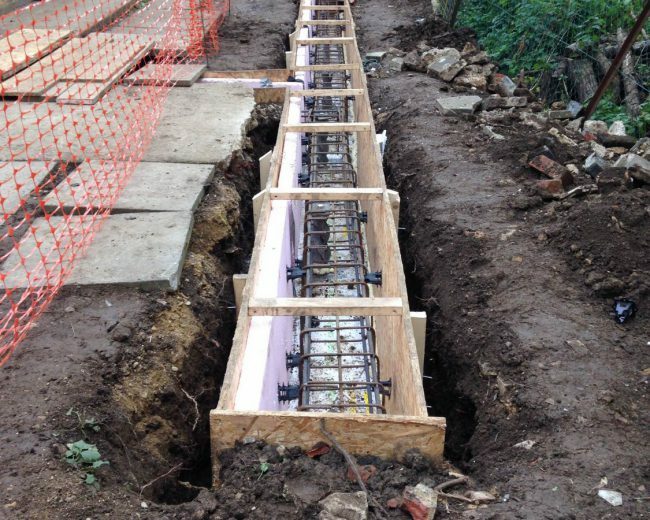 Foundations for solar array installations. Foundations for viewing and access platforms. 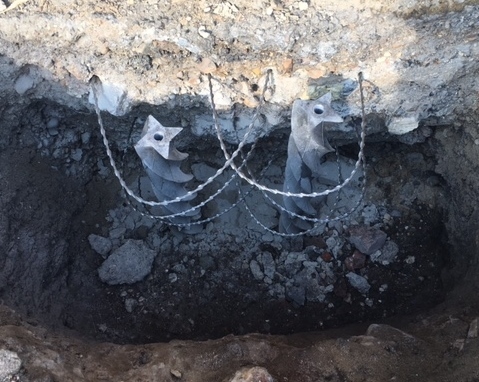 Repair of failed retaining walls. 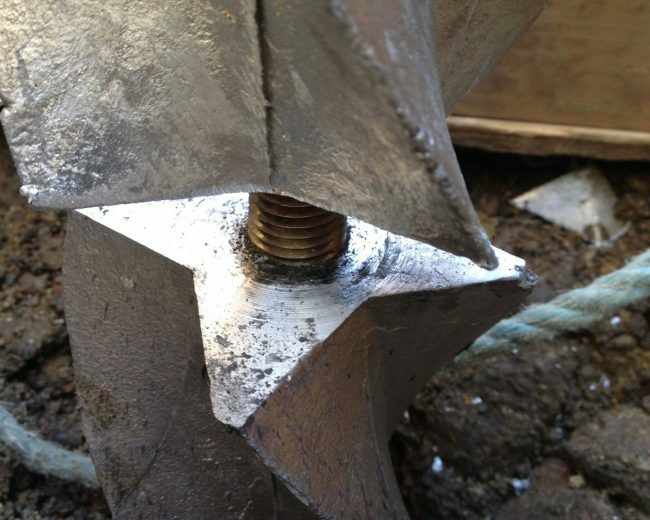 We have various Standard Details for the use of QuadraPile which can be used unaltered but it is often necessary to adapt details to suit a particular project. We have years of experience in this kind of design work so we are happy to provide advice where required.